Cryptocurrency. You’ve likely heard of it. In fact, you’ve probably heard of it more than once. People can’t seem to stop talking about it. And like most people, you feel too embarrassed to ask what in the heck it is. All you know is that people are embracing this new megatrend bigtime. Bitcoin, Litecoin, Ethereum, Zcash, Dash, Ripple, Dogecoin, Jesus Coin… The list of cryptocurrencies are seemingly endless. But what is all the hype about anyways? It really is almost too much information to process. It reminds me of the mid 90s when the internet was in its infancy. People didn’t know what to make of it. Search engines, weblogs (now blogs) and electronic shopping carts? The internet proved not to be a fad, and in fact, the internet has revolutionized the computer, transforming research, education, communication and commerce worldwide. Now we are in the early stages of exactly this type of quantum leap in how we will store currency and transact payments. As of November 2018, the combined market cap of all cryptocurrencies hit $184 billion. 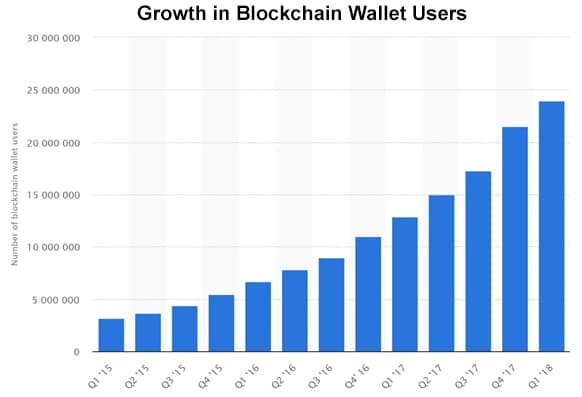 The current number of blockchain wallet users globally as of 1st quarter 2018 is estimated to be just under 24 million users. As you can see in the chart below, this growth has been exponential in the last couple of years. Tim Draper, venture capital investor, founder of Draper Associates and Stanford graduate, is predicting that only cryptocurrencies will be used for payments in 5 years. His predictions on Bitcoin over the past few years have been remarkably on point, so this statement is not without some merit. Not unlike my take on marijuana investments (click here to read my article), I have patiently been waiting on the sidelines, watching the cryptocurrency game play out, trying to gain an understanding by studying the volatility associated with each advancement and decline. I have found my comfort level and believe now is the point to consider entering the cryptocurrency space—whether in the various digital currencies themselves or something entirely different. Acquiring and owning Bitcoin directly is one obvious choice, but the volatility is not for everyone. I’m far more interested in seeking out investment opportunities that lie upstream, that can play a supporting role, or more importantly, are directly positioned to capitalize on the booming cryptocurrency megatrend. Bear with me a minute here. First let’s run through the basics of cryptocurrency, and some of the important points you’ll need to be aware of as you do your own research within this emerging category. Cryptocurrency is a purely digital medium of exchange designed to function in similar fashion as fiat currency as it applies to storage, payment or transfer of value to someone else. Users register and create a digital wallet (also referred to as an e-wallet) to store the cryptocurrency within their wallet on their computer or mobile device. A mobile wallet is a digital version of the wallet you carry around in your pocket. Because of this, many refer to this concept as mobile-money. The future of e-wallets is not only to store value, but provide the ability to make transactions with other users for goods and services. The debate of whether cryptocurrency can effectively compete with fiat currency rages on. Digital currency does hold value (subject to volatility) to its users and is used to pay debts and tender between transacting parties. However, the ultimate value of cryptocurrency is currently determined by supply and demand, and is not backed by any particular asset, commodity or assurances. 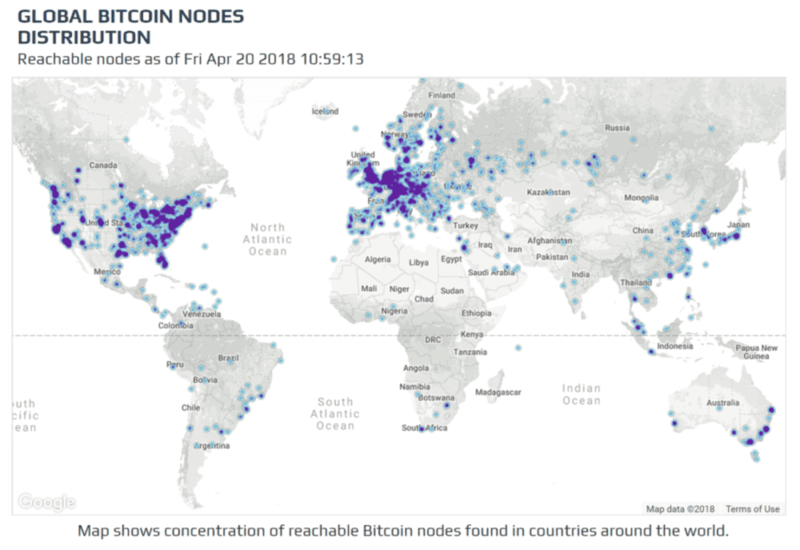 That ledger, or database, currently has over 10,000 nodes, or copies, located around the world. A transaction is made between two parties. That transaction is pending until a cryptographic puzzle is solved. Solving the cryptographic puzzle is done by “crypto miners or bitcoin miners.” The “miner” validates the transaction by solving a mathematical equation. Once a transaction is validated by a “crypto miner,” that transaction is marked as legitimate and a new “blockchain” is created. That blockchain is added to the worldwide ledger of cryptocurrency transactions. With cryptocurrencies, there is no financial intermediary such as a bank to validate the transactions. Are governments at risk of losing control of their currency? Loss of control over how their fiat currency could be effected by the rise of multiple digital currencies, and how they are supported and used within their respective country. Decentralization of transaction validation, i.e. delegitimization of banks and their associated fees. Users are anonymous which could potentially open the door to money laundering and criminal intent. This decentralization and control is precisely what has governments around the world running scared. The legitimacy of governmental fiat currencies are being subverted by cryptocurrencies. For example, with our current money system, governments can print money as they need it. Remember back during the most recent financial crisis in 2008 when the US Federal Reserve rolled out Quantitative Easing? QE was another way of saying the US government was going to print more paper money, and put it into the monetary system. With cryptocurrency, it is not possible to do QE, since there is a fixed number of “coins” in the system at any one time. Add to this the fact that historically, users of cryptocurrency do not have to register their real identities. That means all transactions are typically done anonymously. Evolution however is happening now, with respect to regulation on multiple fronts, including new KYC (Know Your Customer) rules starting to be implemented across various touch points within the Crypto eco-system. In the United States, the IRS is now requiring taxpayers to declare any income from cryptocurrency of over $10,000 that is transferred into cash. Also, anyone that is paid fully in bitcoin needs to file a W2 with the IRS. The Japanese government amended its Payment Service Act by promulgating the Virtual Currency Act this past April; FinTech (financial technology) service companies and institutional investors generally welcomed the move. It’s starting to sound like the Wild West is morphing into something real, and cryptocurrencies are starting to gain some level of legitimacy. What we are now witnessing is a complete revolution in our way of thinking about the security and transfer of money. We are in the infancy of this megatrend. Nobody can say where we will be in five years, but the trend is forming. Cryptocurrency, in whatever form it ultimately ends up, is here to stay, just like the internet before it. This is where it becomes meaningful from a business case perspective. With centralized banks being removed from the equation, a disruption in how people send money to one another, and pay each other for goods and services, is underway. 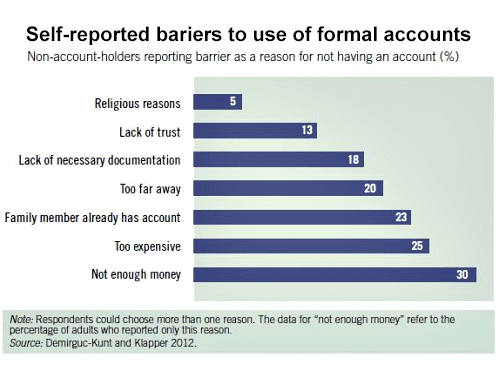 This is particularly important in second and third world countries where the majority of the population are “underbanked.” Users in these countries, e.g. Latin America, Southeast Asia and Africa, can now pay each other using just a mobile phone. Banks are no longer necessary. will be challenged over the next 5 years! Traditional banks have failed the vast majority of people in second and third world countries. Exorbitant transaction fees are out of the question for someone that is literally counting every penny to survive or trying to feed a family. 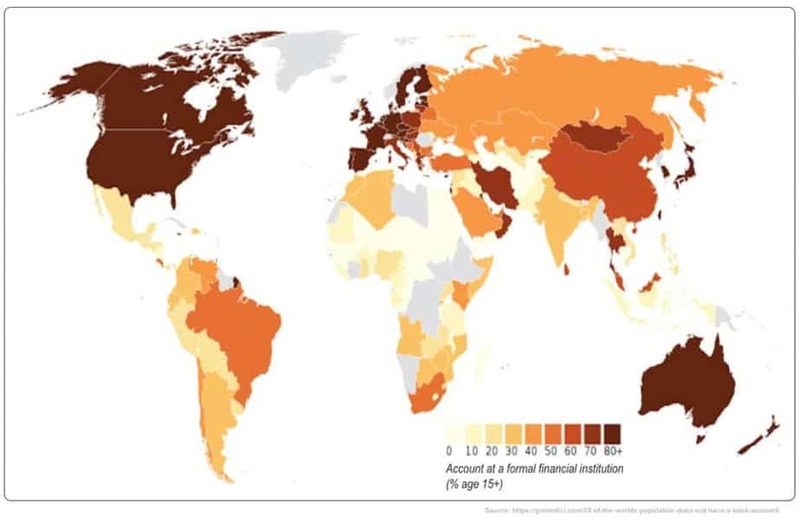 As you can see, the opportunity to provide financial services to the unbanked population around the world is huge. The evolution of cryptocurrencies and advanced technologies could provide the means to fulfill that role. Upstream cryptocurrency companies that have a FinTech (financial technology) component are set to emerge and answer the call. And that could push out more traditional money transfer services, such as Western Union, who have been slow or non-existent getting into the cryptocurrency money transfer arena. This is largely because of the huge fees typically associated with traditional money transfers can no longer survive. “HODL” on to your hat! As anyone who has purchased Bitcoin, or any of the other cryptocurrencies can tell you, it is no place for the weak. Daily, or even hourly price swings can vault your holdings into the stratosphere, or leave you curled up in the corner weeping like a baby. The term “HODL” is slang used in the online cryptocurrency forums for “HOLD” when the market is dropping. Bitcoin, the largest of the cryptocurrencies, has a market cap of around $111 billion. That market share has dropped by more than half over the past year as more and more competitors have come into the market, namely Ethereum, Ripple and Litecoin. Much like where we are now in the cryptocurrency space, the advent of the internet was fraught with uncertainty and challenges for many early companies. The survivors (such as Amazon, Google, Stamps.com and Priceline) did not become multi-billion-dollar companies overnight—each had to adapt and persevere. Volatility is part of any new emerging technology or idea, and cryptocurrency is no different. We are in the early days of a massive megatrend, and investors are still trying to find their solid footing in this ever-changing space. While some companies already have multi-million-dollar valuations, major cryptocurrencies do not sell a product or earn revenue. They are intrinsically hard to value as they are not backed by anything (such as an asset, commodity, or assurance). 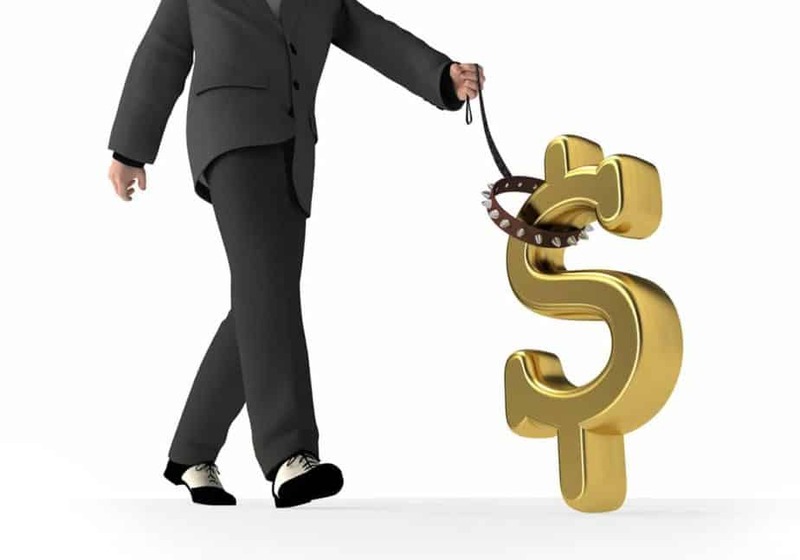 Limited regulation could allow for market manipulation and fraud. The big guys are still sitting on the sidelines and in a “wait-and-see” mode. Since there is not a bonified secure exchange (yet) for trading cryptocurrencies, a large market order can move the price up or down rapidly as it wipes out the orders on the order books. Another tactic used by large traders to move the price. The market is dominated by millennials, who are early adopters that are comfortable with the technology associated with setting up a cryptocurrency account.Most millennials do not have the long-term investment experience of their more mature generational counterparts though. They will tend to dump their shares at the first sign of trouble, and this behavior appears to be coordinated en masse. This one-year chart represents the top three cryptocurrencies and their meteoric rise and fall. As they say, what goes up, must come down. If you have the stomach for it, what a ride! One word of caution to my readers, be cautious of the ICO (Initial Coin Offering) mania. Many ICO’s tout the offering of a new cryptocurrency that will be the next Bitcoin. With the relative lack of regulation, these investments are ripe for fraudsters to take your money and run. While there may be some ICO’s that warrant a closer look, for the most part you will need to understand how a newly created “token” plays into its business offering. We are living in historic times. A complete revolution is taking place. Our relationship with money and how we store, value, and transact with it is ever evolving, and this megatrend is here to stay. What I find interesting is the ability to watch and be a part of this emerging space maturing. But what really excites me… are the upstream opportunities: companies that work within the cryptocurrency or related blockchain space, that are uniquely positioned to not only capitalize on solving world banking problems with the unbanked population, but generate revenue from it. I’m following a number of special situations in this sector. To discover future crypto opportunities, sign up here for the Financial News Now newsletter to get the latest updates and investment ideas directly in your inbox! Hey Buddy!, I found this information for you: "The Cryptocurrency Megatrend is Here". Here is the website link: https://financial-news-now.com/the-cryptocurrency-megatrend-is-here/. Thank you.